Our members will enjoy a stay in a Deluxe Room and will receive a full English breakfast each morning - the perfect fuel for your day in the capital! 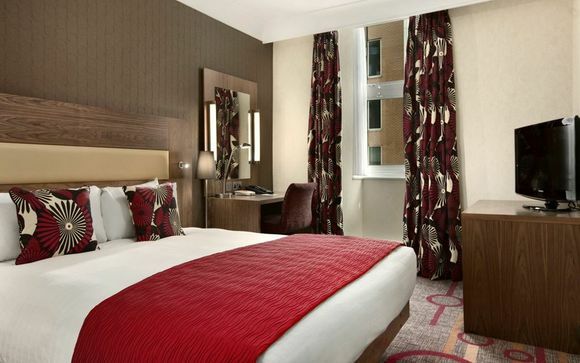 The Hilton London Olympia hotel is set in Kensington, a fashionable district in London. Kensington is home to Holland Park, the Royal abode of Kensington Palace, and is near Hyde Park and Notting Hill. Spend a leisurely day at Westfield London, a large shopping complex with stunning architecture and luxury fashion labels. Explore antique shops on Kensington Church Street or boutiques along Ledbury Road, and the colourful Portobello Road Market. Tour the Natural History Museum, a popular London attraction near the hotel. 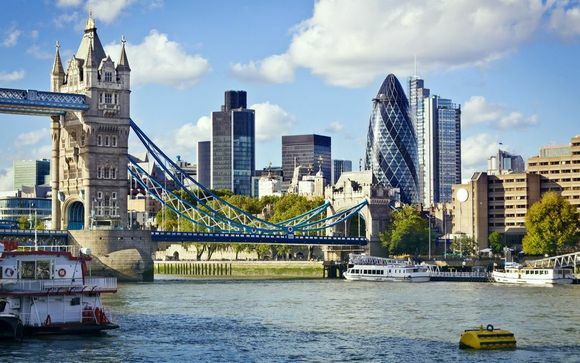 Take an iconic black cab or red double-decker bus into the city centre and visit the famous sights of Europe’s largest city including The Tower Bridge, the London Eye, Houses of Parliament and Buckingham Palace. Meet with friends for cocktails amid the bustle of London in the Society Bar & Restaurant at the hotel or savour specialty coffee and choose from a selection of sandwiches, pastries and cakes at Costa Coffee. If you prefer to start your morning with a work-out, rejuvenate at the complimentary fitness centre or run laps on the jogging track in Kensington Gardens. Indulge yourself in this modern room with warm and relaxing tones. Get to work at the desk or relax watching the movie channels whilst planning the next day of exploration! Special touches include bathrobe, slippers and mineral water. Start your day with a delicious cappuccino, work through lunch with a Panini or top up with a shot of espresso to keep you going when on the move. This London coffee bar serves a great range of authentic coffee drinks served by the most passionate and well trained baristas around. Access can be gained directly from the Hilton London Olympia hotel or from Kensington High Street. Fresh cakes, pastries and sandwiches are sold daily. Sink into a velvet armchair and sip a signature cocktail in our sleek, chic new bar. The bar menu features classics with a modern twist, like a Japanese panko onion ring tower or mini burgers with custom-made buns. The restaurant is an altogether sultry affair, serving a quintessentially English menu with an emphasis on sustainable, locally sourced ingredients. Sample English lamb rump with sautéed spinach, carrot purée, herb rosti and red wine jus, or slow-cooked duck leg with garlic sausage and white bean stew with spiced pear.